Is knowledge of right and wrong written on the human heart? Do people know God from the world around them? Does natural knowledge contribute to Christian doctrine? While these questions of natural theology and natural law have historically been part of theological reflection, the radical reliance of twentieth-century Protestant theologians on revelation has eclipsed this historic connection. Stephen Grabill attempts the treacherous task of reintegrating Reformed Protestant theology with natural law by appealing to Reformation-era theologians such as John Calvin, Peter Martyr Vermigli, Johannes Althusius, and Francis Turretin, who carried over and refined the traditional understanding of this key doctrine. Rediscovering the Natural Law in Reformed Theological Ethics calls Christian ethicists, theologians, and laypersons to take another look at this vital element in the history of Christian ethical thought. Is knowledge of right and wrong written on the human heart? Do people know God from the world around them? Does natural knowledge contribute to Christian doctrine? While these questions of natural theology and natural law have historically been part of theological reflection, the radical reliance of twentieth-century Protestant theologians on revelation has eclipsed this historic connection. Stephen Grabill attempts the treacherous task of reintegrating Reformed Protestant theology with natural law by appealing to Reformation-era theologians such as John Calvin, Peter Martyr Vermigli, Johannes Althusius, and Francis Turretin, who carried over and refined the traditional understanding of this key doctrine. 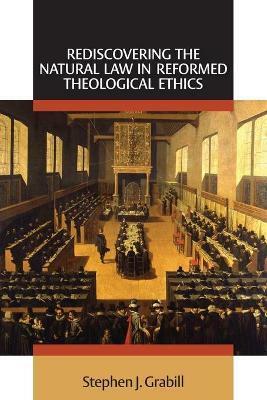 "Rediscovering the Natural Law in Reformed Theological Ethics" calls Christian ethicists, theologians, and laypersons to take another look at this vital element in the history of Christian ethical thought.